I love my smartwatch. About 3 years ago I got my G Watch and haven't looked back. It is still kicking to this day and only just decided to buy the Moto 360 Sport that was on sale to replace it (it was due). The moment I hit purchase, I then hear about the Blocks watch is now available for pre-order. And I've been all about the mods lately, loving my Moto Z, and love where that's headed in the future. So having something similar for my smartwatch would be equally awesome. 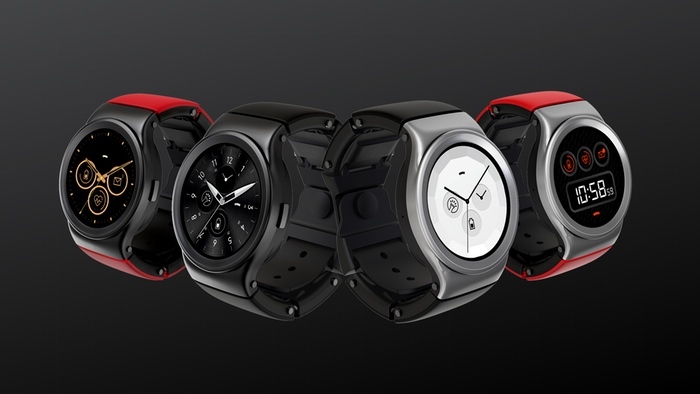 The watch is available for $330USD, and for that you get to choose from 4 mods. Extra Battery Module: The EBM is designed to extend the battery life of your watch and charge it even when the watch is turned off. While using the extra battery module we will be providing the mAh remaining as well as the charge remaining in the battery. We will also provide the state such as charging/discharging etc. Heart Rate Module: Monitor your pulse rate and receive real-time data to track your wellbeing. Take readings in short intervals to track your heart rate throughout the day. GPS Module: This tiny GNSS module provides us with accurate positioning and a minimal acquisition time. We will be using GPS and GLONASS to ensure we provide the best location data possible. We will be providing longitude and latitude data as well as location data and accompanying accuracies. Adventure Module: The Adventure module is a 3-in-1 sensor which combines digital humidity, pressure and temperature sensors in one. This low power sensor allows us to provide the environmental temperature, pressure, altitude and humidity. Perfect for people who love to go exploring and want to track different aspects of their route. Flashlight Module: A white LED Light that you can turn on and off. We are looking into adding strength control where you can dim the light or vice versa. It will have a small opening and will sit on top of the shell. After test results we will add beam angle, dispersion and range metrics for those who require more information. Programmable Button: The module can be assigned to anything, whether it be a function on your watch, phone, or other connected devices. One touch, and you are good to go! *It is recommended you don’t use EBM and HR modules at the same time for more accurate heart rate readings. Best yet, the device itself will use Android... now is it Android Wear? It doesn't look like it, as it has it's own companion app. It comes in either Onyx Black or Sunrise Red (I kinda like the red). For us Canadians we'd have to add the $15 shipping option so it would come to $345USD (~$465CAD) and they are expecting shipping dates of Feb 2017. What do you think of it? Pricey, but futuristic!